Koh Yao Noi is a large island in the famous Phang Nga Bay in Thailand. It’s close to popular destinations like Phuket and the Krabi mainland which makes it a popular destination for visitors looking to explore a quieter side of Thailand. Despite a recent rise in tourism on the island, Koh Yao Noi feels like a quaint refuge from the more crowded cities like Bangkok and Phuket. The Koh Yao Noi accommodation options are well-known as some of the best in Thailand, and in 2002 the island even received international attention with the World Legacy Award for Destination Stewardship from National Geographic magazine. Visitors are attracted to Koh Yao Noi for its natural beauty. It is a great place for adventurous travelers looking to kayak, hike or snorkel. While the weather in this part of Thailand is pleasant year-round, there are certainly positives and negatives of some seasons over others. This article will discuss the best times of year to visit Koh Yao Noi Island in Thailand. While the Koh Yao Noi weather makes it the ideal place for a relaxing, tropical holiday, the island does experience seasonal monsoons. There are two main seasons in Koh Yao Noi which revolve around these changes in weather, so it is important to plan your holiday accordingly. Monsoon season occurs mainly between June and November. During the monsoon or rainy season, the island will likely experience daily rains. This can range from light to torrential downpours, but they should only last a few hours each day. Though the rain is not ideal for a holiday stay, there will likely still be sunshine outside of afternoon hours. For visitors looking to explore the island at its most quiet, the monsoon season can actually be the best time to visit as the beaches will be quiet and clean. Between January and April, Koh Yao Noi experiences its dry season. This is a popular time for visitors as it is considered to be the best time to visit Koh Yao Noi. 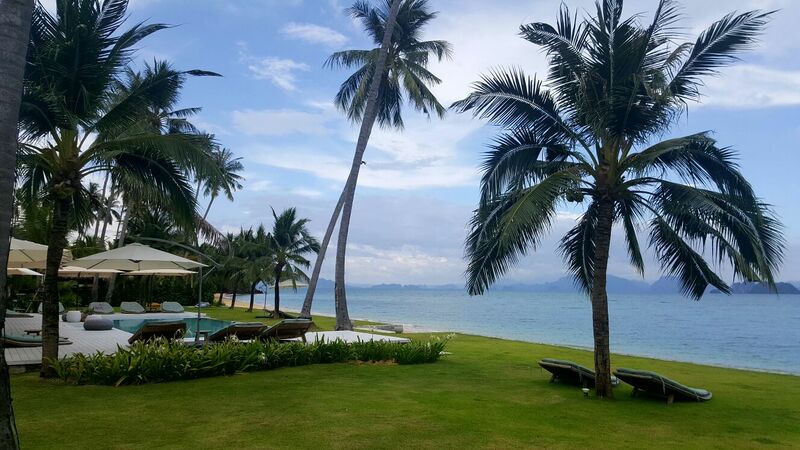 This is a relatively rain-free season, and the resort on Koh Yao Noi will be much more popular and crowded. During these months in the dry season, temperatures are generally over 26 degrees Celsius (or 80 degrees Fahrenheit). This is the best time to explore the island and participate in activities like snorkeling, hiking and cycling. The villa on Koh Yao Noi and hostels should be reserved in advance as they can sell out quickly. Ultimately, the best time to visit the Koh Yao Noi island will depend on your preferences. While most travelers choose to visit during the dry season, this is often the most popular and crowded time. Rates for hotels and villas will rise during this popular time as the weather is ideal for exploring the island. However, if you choose to visit during the off-season or rainy season, you will likely need to coordinate activities around the daily rainfall. While it generally only rains for a few hours at a time during monsoon season, this could mean flooding and cooler temperatures are possible. Activities and options will be limited during the monsoon season, though this often means accommodation rates are more affordable and crowd levels are down. Whether you choose to visit Koh Yao Noi in the rainy season or the dry season, you’re sure to have an unforgettable experience. Known as “long, little island,” this off the beaten path destination is gaining popularity as more people learn about the natural beauty of this island. Now is the time to visit while the island is still relatively untouched by the outside world!